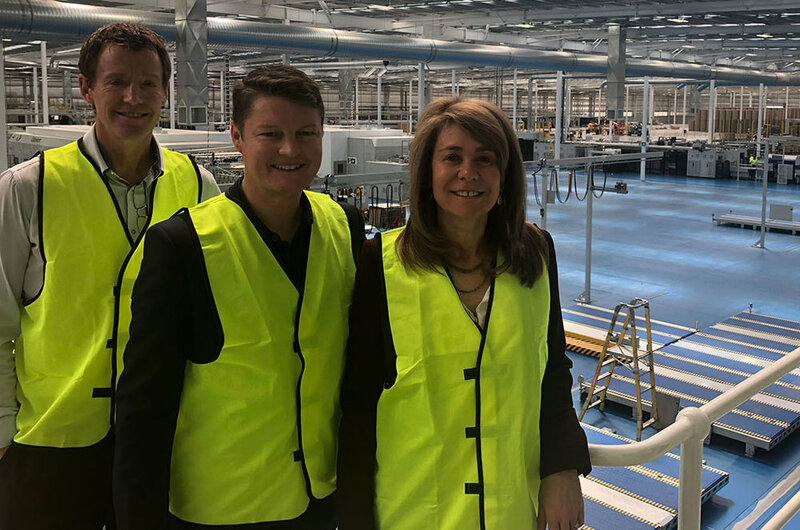 Minister for Industry and Employment Ben Carroll and Visy Co-Owner Fiona Geminder toured the facility last week to meet workers and inspect the plant. Supporting the primary producers, manufacturers and retailers in the local food and beverage market, cardboard produced at the plant will be manufactured from recycled paper and cardboard. This investment is another example of our commitment to spend $2 billion over the next ten years to create 5,000 Australian manufacturing jobs.